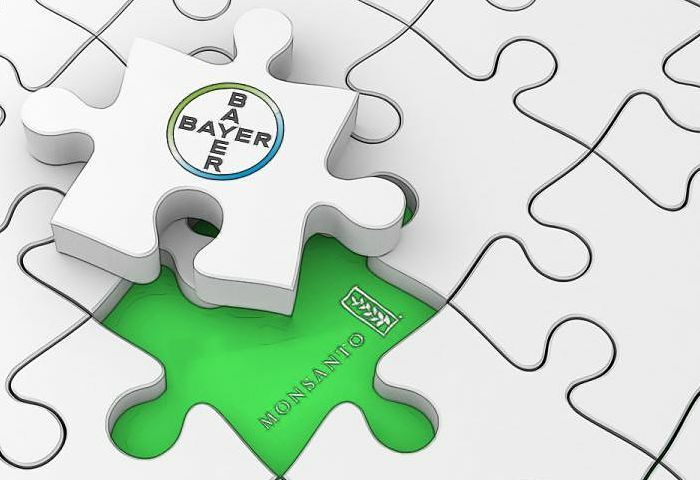 Monsanto’s crimes against humanity are well documented, but latest news has revealed that Monsanto is set to be taken over by an equally predatory – if not, worse – counterpart, Bayer. The less heard of German pharmaceuticals giant, Bayer is set to close the $66 billion (USD) dollar deal by the end of 2017, reports RT; bumping the shares from $122 to approximately $128. The worrying merger will make Bayer the world’s largest pesticide and seed producers, leaving only a handful of international players in the industry, says RT in their analytical report. Bayer, as a pharmaceutical company, has existed for over a century, introducing Aspirin into the market in 1899. The merger, the largest this year, may also (health issues aside) “unfairly lead to higher prices for farmers worldwide,” reports SMH, which in turn may result in devastating losses for local non-GMO farmers. 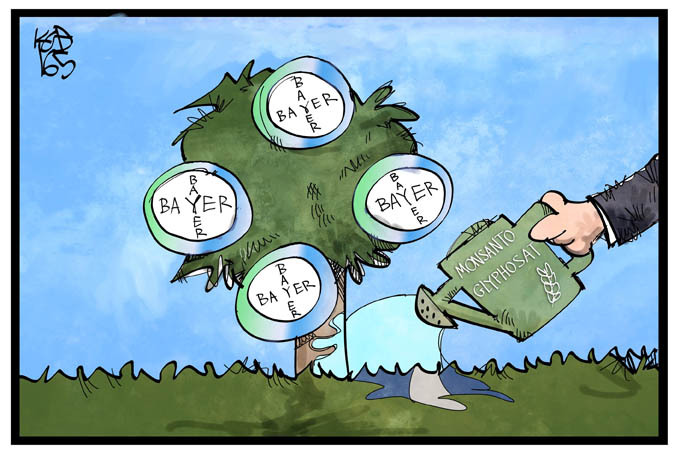 Once the takeover is completed, it leaves Bayer presiding over approximately a quarter of the world’s seed and pesticide supplies. Bayer have also stated that this won’t be the last purchase, with plans of more over the next three years. For western nations, such as Australia, local farmers are having to sit and wait; unsure of what this deal means for them as competitors. “Lessening of the competition is the main concern, but also that investment in research and investment could decrease too,” NSW farmer Dan Cooper spoke to ABC News, of the deal. Let’s hope that their “respective” nature doesn’t reminisce too much in their past, such as cutting “costs by using tainted blood with HIV;” legalizing heroin as a children’s cough syrup; causing fertility problems in thousands of women; or the whole ‘don’t mention the war’ role Bayer played in the Holocaust, doesn’t come back to haunt the current citizen. Last thing I want is to have liquid injected into my eyeballs or be dissected while awake…but hey, I digress. Maybe all those lawsuits aren’t true. In short, this deal will make Bayer the largest argro-chemicals company in the world. And with no one to compete against them, (this deal incorporates Big Pharma, the Big Banks and Big Ag) where does that leave us? This is perhaps a very dark day in history, indeed. Monsanto’s and Bayer’s deal really is a deal made in hell – or heaven, if it’s from their perspective. Sources: RT, SMH, News.com, ABC News, Bayer.com, iLawsuit, Tlaxcala, GMWatch. Previous US Kills Over 20 Million – Is Venezuela Next?